In this sequel to THE SAMSON OPTION, Ari Ben Chaim, abandoned at birth during the Six Day Way in Israel, and raised on a kibbutz, must continue to evade the Mahdi Brotherhood. This mysterious sect believe Ari is the long awaited Twelth Imam, or the Hidden Mahdi. Where did the inspiration for the character of Ari Come from? An infant boy was found abandoned and brought to the Baby Home where I worked in Jerusalem. I loved this little fellow, who eventually was adopted by a kibbutz family. The grown-up Ari is a figment of my imagination. Did you meet people who had been diagnosed, like Lily, with the Jerusalem Syndrome? Is it an existing condition? I met several people that exhibited certain delusions that would qualify as the Jerusalem Syndrome. It definitely is a known phenomenon to doctors in Jerusalem. The places Ari and Lily pass through in their journey are vividly described. Did you visit all these places? Yes, I have lived and traveled extensively in Iran, Israel, the West Bank, and the Sinai. The only exception is Damascus. I have never been there, but surely would love to visit “Straight Street” some day in the future. Does the convent garden in Jerusalem actually exist? The one where Lilly uncovers the inscription? Yes, the convent belongs to the Russian Orthodox Church, located in a neighborhood outside Jerusalem called Ain Karem. This is the traditional hometown of John the Baptist. The brothers Daniel and Eli are pivotal characters towards the end, but their personal motivations are left vague. Was this deliberate and do they reappear in future books? My plotting is done more from the subconscious level than anything deliberate. But yes, Dan and Eli are important characters, and appear in the sequel THE TIME OF JACOB’S TROUBLE, and the final book in the trilogy called THE RETURN OF THE MAHDI. Is the character of Lily based on someone you know? Lily is perhaps an amalgam of many people I have known. But other character like Dr. Hepzibah Klein and Rachel are based on real people. Are any of the characters based on your life? Yes, the baby nurse, Miss Queller, who is murdered in the first chapter is based on my life. I changed her nationality and home country to make it not so apparent. Geyer lived and worked in both Iran and Israel from 1963 to 1989. 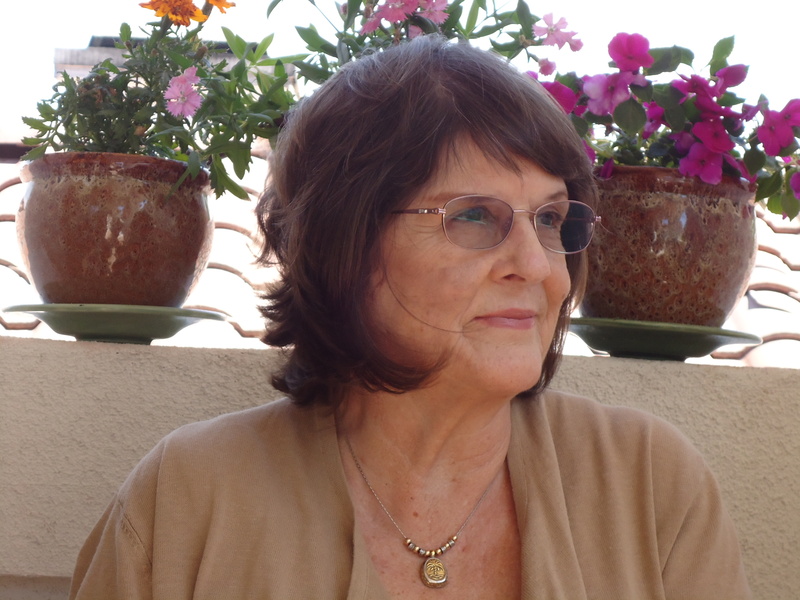 She lives in San Juan Capistrano with her husband, an archaeobotanist and research fellow at the Zinman Institute. She is currently working on the third and final book in the Samson Option Trilogy.